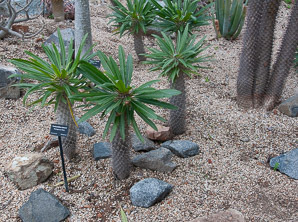 Madagascar palm is, in fact, a native of southern Madagascar (also southern Africa), but it is not a palm. 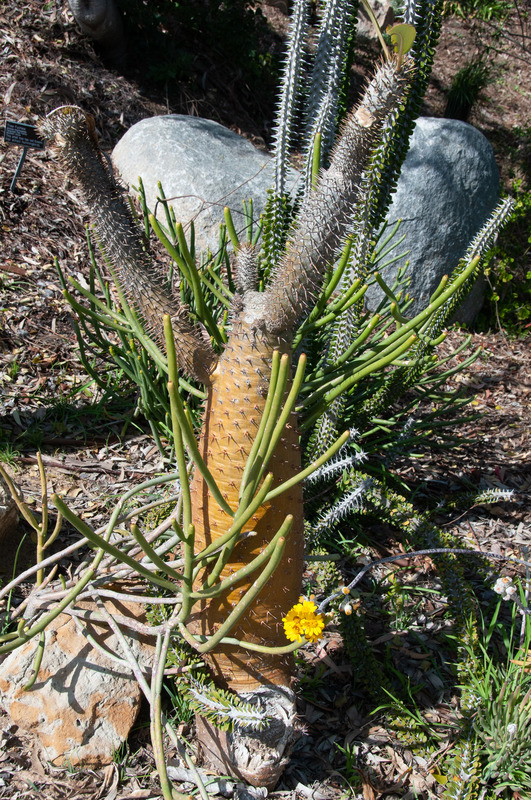 Looking like a truly unique cross between a palm, a cactus, an agave, and perhaps an elephant’s trunk, it is in a class by itself. Metaphorically at least—there are about 26 members of Pachypodium. The term means ”thick foot,” because of the thickened base of the trunk. 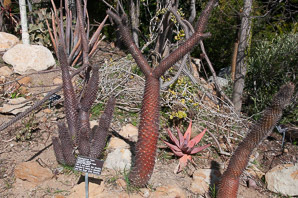 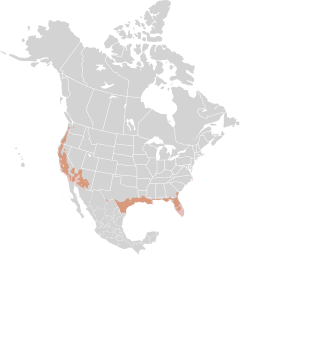 It is not found in the wild in North America, though it is grown as a garden or house plant. 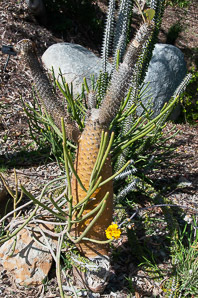 For more on Pachypodium, see Pachypodium.org. 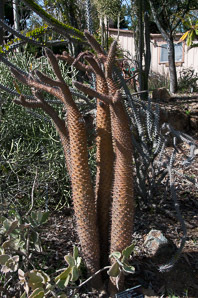 Identification: Trunks are a smooth grayish silver, with spirally arranged sharp stiff 2" (6 cm) spines that occur in groups of three. 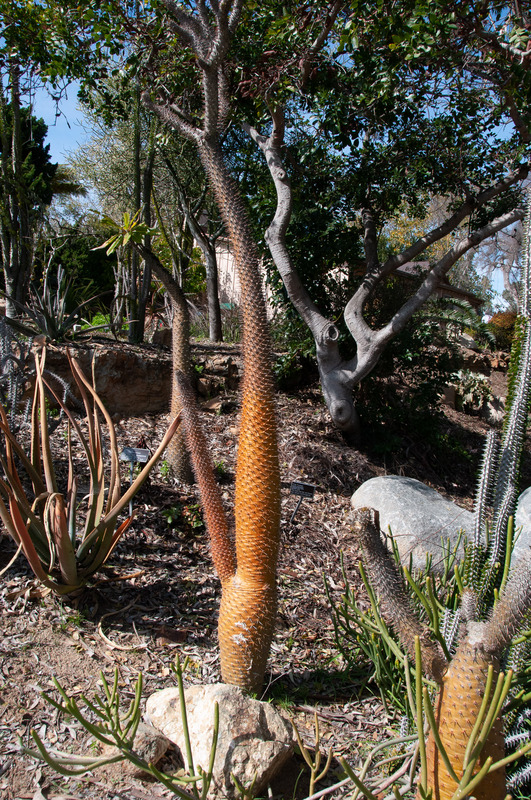 They are thick at the bottom, thinning toward the top, gray, sometimes with a sinuous bend, branching near the top. 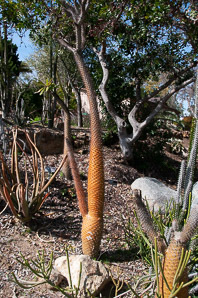 In nature, they reach up to 20' (6 m) in height. 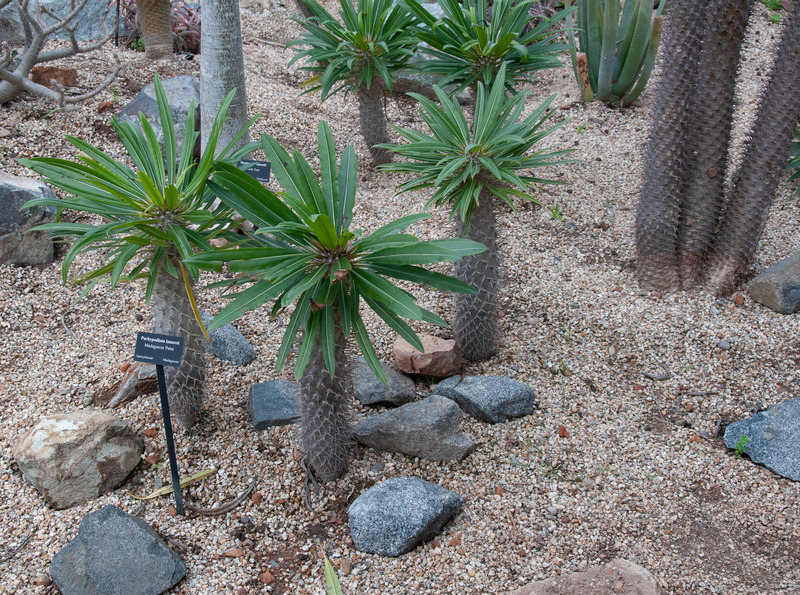 (As house plants, they are 6' (1.8 m) or less.) 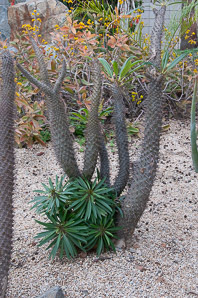 Leaves are up to 24" (60 cm) long and 2" (5 cm) wide, dark green, somewhat glossy, with a lighter middle vein. They are dropped in the winter. 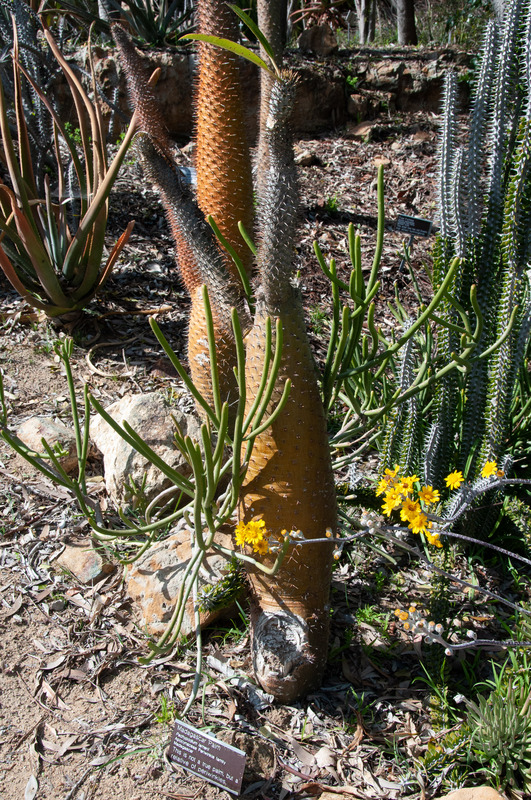 Flowers are attractive, white with yellow centers, with five petals, 2-5" (5-12 cm) in diameter. 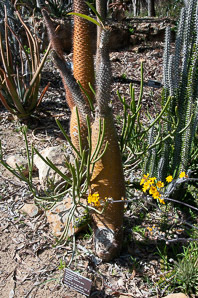 Pachypodium lamerei description by Thomas H. Kent, last updated 12 Oct 2018.